NOVO-OGARYOVO, Russia -- Kiev is seeking a $9 billion annual gas discount to reach agreement with Moscow on operating the Ukrainian gas transportation system, Russian gas export monopoly Gazprom CEO Alexei Miller said on Friday. Ukraine pushes for gas price revision with Russia. At their ongoing gas price talks, Moscow and Kiev have been recently discussing the possibility of creating a joint venture to operate the Ukrainian gas transportation system, a core transit route for Russian natural gas supplies to Europe. "Our Ukrainian counterparts raised the question of a discount for gas prices during the talks. If we calculate a volume of 40 billion cubic meters, the volume which Ukraine has to buy as part of the terms of the current contract, the discount may be about $9 billion annually," Miller told Prime Minister Vladimir Putin. The deal ties the price of gas to oil prices, which have risen strongly since 2009, boosting Ukraine's gas bill. 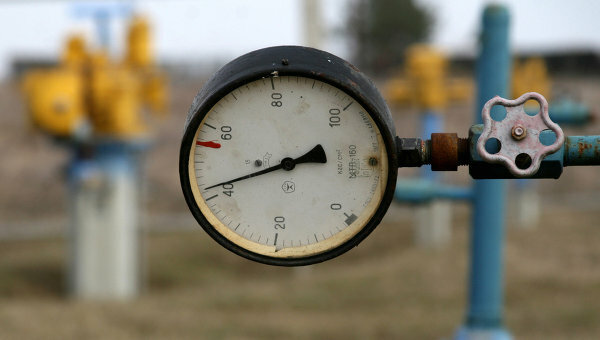 Kiev insists on reducing both the price and the volume of gas imports. Miller also said Ukraine estimated the value of its gas transportation system at $20 billion. "Our Ukrainian friends mentioned the that they value their gas transportation system at $20 billion. It is a big sum taking into account that we will have to spend large amounts on its modernization," Gazprom CEO said, adding that the upgrade might cost from two to eight billion euros. Putin told Miller the talks to form the consortium should be continued as gas supplies through the Ukrainian gas transportation system will be in demand amid rising gas consumption in Europe. Moscow initiated the South Stream gas pipeline project to diversify Russian gas routes away from transit countries such as Ukraine. Russia plans to launch South Stream, intended to carry Russian natural gas to Europe along the Black Sea bed, in 2015. The pipeline will transport up to 63 billion cubic meters of gas to central and southern Europe. Putin also ordered faster construction of the pipeline and the start of its underwater section by the end of 2012, not in 2013 as previously planned.